We know that accidents are pricey and troublesome. We also understand that they are quite stressful. Keeping you waiting on a tow doesn’t happen with us. From the first phone call, we have a tow truck available to handle the problem. You will be surprised at how fast our crew manages your situation. Additionally, you will be happy with how inexpensive our towing and roadside assistance is. The last thing you need to be thinking about when you need a tow or vehicle assistance is how much it is going to cost. We want to make your problem stress-free. Our solid reputation is crucial in upholding all that we do. We give unsurpassed workmanship, listen to your inquiries, and offer complete answers to you. Our team communicates with you thoroughly during each step of the job. We utilize our skills to handle your auto problem. It doesn’t matter if it is personal or business, your automobile vehicle problem is ours when you come to us. Our San Diego tow technicians work hard. We have 37 years in the industry, and we constantly get good feedback from our customers. Because of this, we can constantly build our long list of happy customers. Take advantage of our low estimates! If you need help in getting your auto functioning normally, try San Diego Tow Company. Over time, we have garnered a good standing in the San Diego community as a knowledgeable towing contractor. It doesn’t matter what type of auto assistance you request, we’ve got you covered. When our towing technicians come to the scene, they will take over the problem, so you can feel good in knowing that your requests are fully being met. We work tirelessly in forming a good relationship with you so that we're your first point of contact when you need a San Diego, CA towing and roadside assistance provider. You are worthy of the peace of mind that you can only get from partnering with a highly-experienced tow truck and auto assistance business. Let us give this to you. Although being caught somewhere with a non-operating vehicle can bring anxiety, our intention is for you to be content that San Diego Tow Company is on the scene. 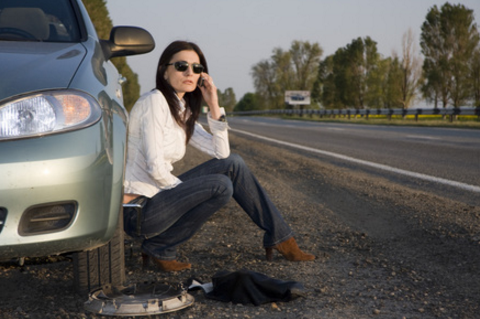 We look forward to assisting you and putting you back on the road. You will be pleased with how little money and time you have to use when you come to us for assistance. We have a wide level of knowledge and experience that is unequaled with any other San Diego tow truck business. Our tow team strives to provide the utmost customer service experience ever. Our towers are the most dependable and skilled automobile and commercial vehicle specialists in the industry. 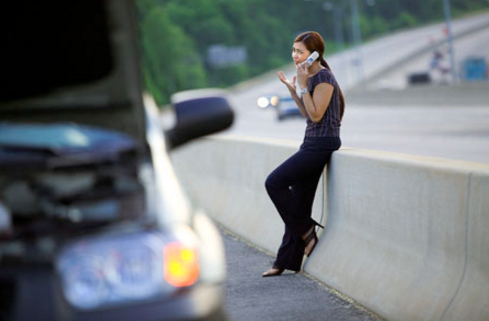 We also provide 24-hour emergency roadside assistance and towing service, so we can give you a tow any time, any day. If you are having problems with your vehicle in any San Diego neighborhood, we have the capability to resolve your issues. Our professionals have the expertise and proficiency you can trust. Whether it is a just delivering you some gas, or a flatbed tow for your SUV after an accident, you’ve come to the right place. As the top towing company in San Diego, we know that your auto is a huge investment for you, and you want any work done to it to be performed with extreme care. We won’t stop until the automotive problem has come to a satisfying resolution. Our crew is devoted to giving top solutions for your requests. Our task is to be known as the principal San Diego, CA area tow truck and roadside assistance business. We attend to you in a quick and courteous manner, and we want to go beyond your expectations. Our crew evaluates your specific situation to recommend a personalized job to impeccably meet your needs. If you need automotive help while traveling in any San Diego community, ask San Diego Tow Company. Most folks who need a tow don’t possess the comfort of waiting for typical business hours. This is why we provide towing services 24/7. Our technicians deliver swift and professional towing work, so your auto running like it should so it is fully functional. Our professional and pleasant crew looks forward to giving you incredible service that gets the job handled in an effective manner. 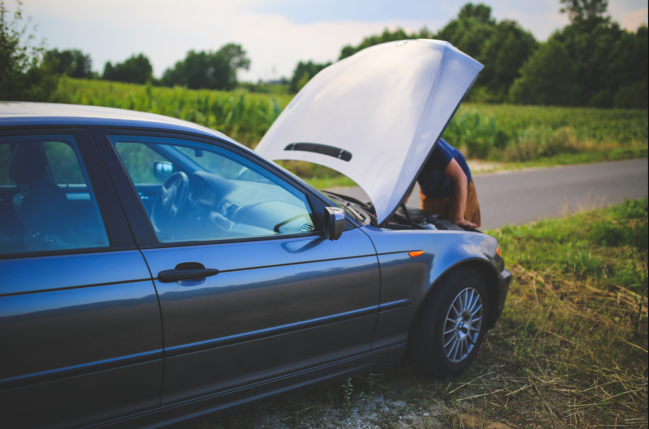 We understand the criticalness of giving customers convenient service during an auto breakdown. If you need the San Diego, CA tow business that delivers honest tows, come to us! We are the top towing business in the San Diego, CA area. We are the one to come to for dependable emergency towing, as well as roadside assistance. With us, our team meets with you anywhere in San Diego to decide your towing needs. After cautious studying the situation, we confer with you about your best course of action. However, before we do anything, our crew tows your vehicle. We are available 24 hours a day, seven days a week to go anywhere in San Diego, California you ask us to be. We offer towing services not only on San Diego city streets but the highways too. Our tow technicians have the level of expertise that makes sure that your auto is towed the correct way, lessening the chance of more damages. If you find yourself locked out of your vehicle, or a dead battery, contact us ASAP. We want to be your top choice. When you need reliable towing or any other type of auto assistance, reach out to San Diego Tow Company. ​Whether you are driving an automobile, truck, or RV, or mobile home, you will see what first-class San Diego auto towing service really entails. Our skilled drivers are professional and pleasant, and they will help you at any San Diego location. They will wait with you if it is late night or early morning, while you contact someone for a ride. We provide auto towing for all personal and business vehicles. Our San Diego towing company possesses the necessary equipment that gets that car or truck safely removed from the expressway. There is nothing more unsafe than having to wait on a busy expressway for a tow or automotive assistance. When you come to us, our towing trucks get to your spot fast, so you don’t have to be stuck for long. With a phone call to us, all you must do is sit in your auto and relax, knowing we are quickly on our way to you. Whatever the cause for professional towing service, no one else will offer you a better price. Our amazing customer service and our evidence of dependability make San Diego Tow Company your top choice for towing service. It is because of our record of positively providing first-rate San Diego towing that we have become the most famous towing business in San Diego. Over time, we have become the top towing in the San Diego area. To save time, money, and irritation, ask us immediately when your vehicle begins to act up. Since we provide all-day towing, we promise we can accommodate you. 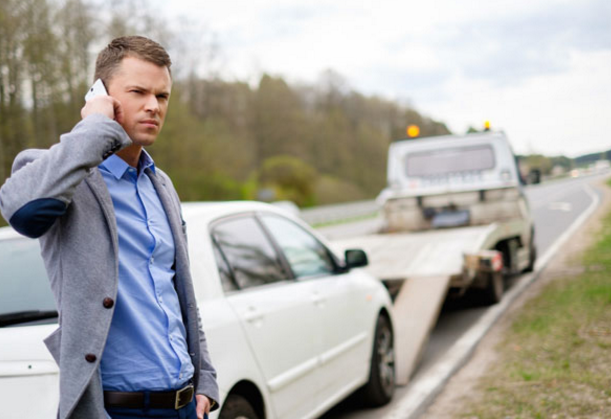 Calling us first saves you time in long waits for another San Diego towing provider. Moreover, our cost-effective rates let you get the tow you greatly need at a price that you can afford. When you pick San Diego Tow Company, your auto gets towed with assurance. With our unsurpassed devotion to you, we have flourished in providing the type of service we think you deserve in San Diego, CA. We have educated our team to give you service that is easy and affordable. We are always open. Therefore, we are always on hand when you need us. With our towing pros, you receive top-notch roadside assistance. Since customer service is our #1 goal, we welcome the chance to earn your business. We provide the best towing service, as we continue to succeed in being your first choice. If you need towing service for whatever reason, get in touch with us! We take pride in our local ownership in the San Diego area, which has been 100% committed to total customer satisfaction. 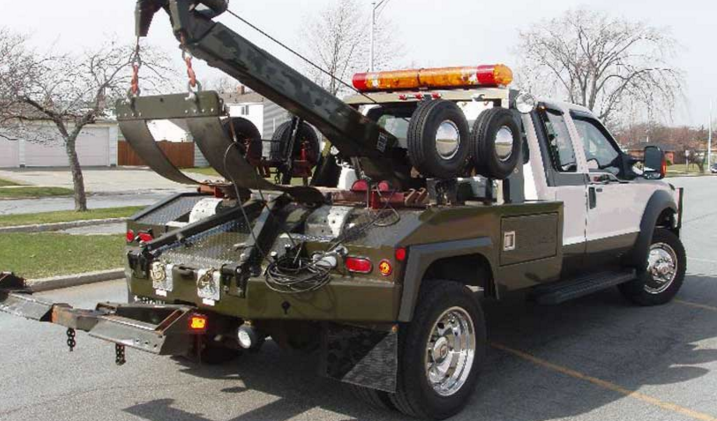 The basic to an effective towing job is to get the automobile towed quickly. If left unattended, many factors, like getting hit by another auto or totally breaking down, can be the results. Instead of a tow, you will find yourself in need of auto part repair service. We realize that you don’t possess the time or money to forgo for a broken-down auto, which is why we give the lowest prices of any of our San Diego towing competitors. Our towing crew helps in getting your vehicle towed to the repair show rapidly, so you can get your vehicle back in a timely manner. 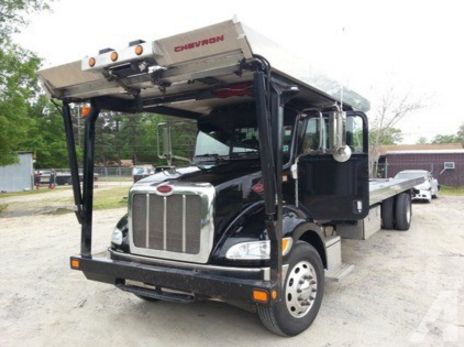 The same goes for when we come to you for a battery jump or heavy equipment transportation. As the preeminent San Diego tow shop, we have a vast array of tools and equipment to fulfill each customer’s needs. 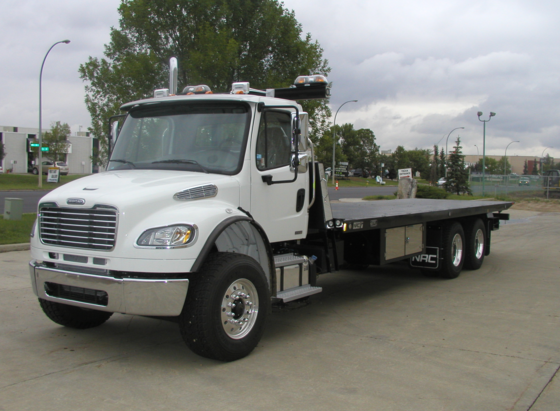 Our equipment is of remarkable quality, ensuring in perfect towing and a name you can depend on. Our extraordinary level of workmanship offers precise towing and roadside help. We are ready to tow or offer roadside assistance for vehicles of any year, make, or model, getting you back on the road the very same day. We know that when your vehicle requires a tow, you need it to be done quickly. This is when it is good to know of a San Diego towing contractor who can have a tow truck where you are in a second. You will find our team to be fast, friendly, and unlike the staff at other San Diego towing businesses. We believe in working differently. The way we defy the status quo is by uncompromising work and remarkable service. We know your time is precious. Therefore, it isn’t any surprise we are the favorite choice for roadside assistance and towing services. Our customer service pros make the entire process trouble-free and super easy. Whether it is a local towing or long distance towing request, our skilled towers get the job done. We understand that being secure while driving on the San Diego roads is your greatest concern, and we take it seriously too. If you need a tow or roadside assistance, turn to our team of experts. We are a locally owned and operated San Diego, California towing and roadside assistance provider who focuses on towing and roadside help for all makes and models of vehicles. As your main source, we ensure the work is done right the first time and well within your price range. We have been in business since 1980 and what sets us apart from our peers is our individual touch. Our business provides fair prices and high-quality towing work. Whether you own a mobile home, semi-truck, car, minivan, or even a freight truck, we deliver towing and roadside help that will have your auto back up and running in a short time. We understand that a vehicle can break down at the most awkward time, which is why our San Diego tow and roadside help is available anytime. We suggest you call us when you require not only a tow, but when you find yourself in need of gas delivery, flat tire change, or lockout services. Regardless of where you are when you need to get your vehicle running again, our towing techs can assist. When you need to have your vehicle towed, or you need help with changing a flat tire, consider San Diego Tow Company.